Chris Turner, who hopes fans will support the new club. FORMER Sheffield Wednesday goalkeeper and manager Chris Turner is backing a new project to give Wakefield its own football club. 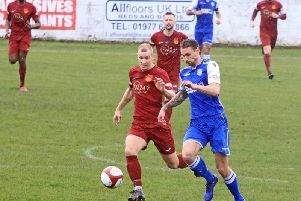 Turner has joined a number of local businessmen in the new venture which will see Wakefield AFC kick off its first season in the Central Midlands League in 2019-20 and play its games at nearby Pontefract Collieries ground. The intention is to eventually make it to professional status and play its games at the revamped Belle Vue Stadium, which currently houses Super League’s Wakefield Trinity. Launching a new football team is a major undertaking which has not been done lightly by any of the team. 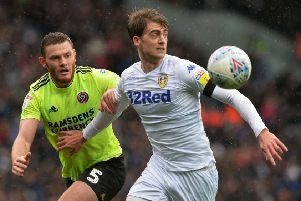 One of the businessmen behind the project, Mike Hegarty, said Wakefield – the only city without its own football club – said he hoped to help give the city a team its residents could be proud of. “This is the culmination of a nine-year dream. Wakefield is the UK’s largest city without its own football team something that football fans and proud citizens have complained of for decades.